The Official Neighbours Trivia Night is a weekly event held in St Kilda, Melbourne (and monthly in Sydney) which gives Neighbours fans the opportunity to meet past and present Neighbours actors, win great prizes and listen to live music from Alan Fletcher (Karl) and Kym Valentine (Libby). The trivia nights are held every Monday night, at the Elephant and Wheelbarrow, Fitzroy Street, St Kilda. The events are also held in Sydney, on the final Sunday of every other month, at Coolabar, 247 Pitt Street in Sydney's CBD. The Melbourne and Sydney nights start at 7pm and 3pm respectively and cost $40. Enjoy Friday night Karaoke Bingo Bash at the Elephant and Wheelbarrow, St Kilda! Your host for the night will roll out the funniest bingo calls to the tunes of all your favourite Neighbours and Rock anthems! See Kym Valentine (Libby) perform live and be up close and personal with your much loved Neighbours stars! Take plenty of photos and make the night one to remember! New for 2008, every Friday night. A wide range of Neighbours merchandise is also available from the Neighbours Shop, at 570 Flinders Street in Melbourne city. 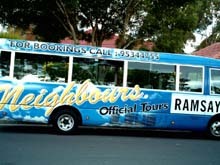 Their phone number is (03) 96295866.
eighbours Tours offer two Neighbours-related tours. Tour A, $50, departs Monday-Friday. 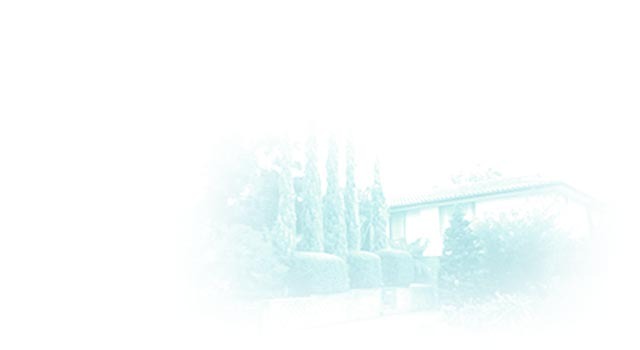 Visit Pin Oak Court (Ramsay Street), drive past Erinsborough High and the the studio complex, and meet and have your photo taken with one of the actors. Tour B, $65, departs Saturday-Sunday. Visit Pin Oak Court and go "behind the scenes" to see Lassiters, Charlie's, Harold's Store, Grease Monkeys and Carpenter's Mechanics. Meet and have your photograph taken with one of the actors. Tours can be booked at the Neighbours shop, located at 570 Flinders Street in Melbourne city, or by phone ( (03) 96295866 ) or through Neighbours Tours website.